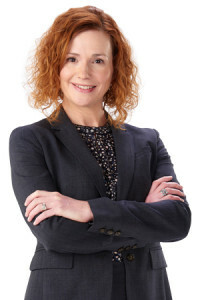 Teresa “Traci” Dale Pupillo is an experienced trial lawyer representing clients in a wide variety of litigation matters, with particular experience in real estate and employment issues. Traci has decades of experience in representing private contractors and property owners in all types of real estate, construction and property disputes, including construction contract issues, negligence actions and mechanic’s lien cases. She has also represented developers, condemning authorities and property owners in numerous eminent domain cases, including representing condemning authorities in all stages of the condemnation process. She has represented property owners in condemnation cases in both jury and bench trials and in cases before the Missouri Court of Appeals and the Missouri Supreme Court. Traci also has significant experience representing individual and business clients on zoning and permitting issues before local governmental bodies and in trial and appellate court proceedings. In addition to her real estate litigation practice, Traci has also routinely represented employers on employment issues over the course of her 20-plus year career. She has represented employers in federal, state and administrative actions with respect to employment-related charges and lawsuits under Title VII, ADEA, FMLA and the MHRA. She also has handled numerous other types of employment-related claims, including wrongful discharge, retaliation, misappropriation of trade secrets, tortious interference and representing both employers and high-level executives in actions regarding non-compete and non-solicitation covenants. She also has handled numerous other types of employment-related claims, including wrongful discharge, retaliation, misappropriation of trade secrets, and tortious interference, and represented both employers and high-level executives in actions regarding non-compete and non-solicitation covenants.